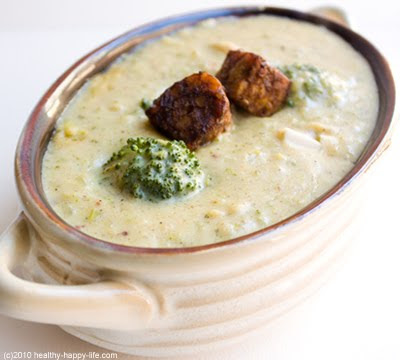 Broccoli Jack Soup. Map-oltle Tempeh Croutons. Secret Ingredient. My secret ingredient for this recipe is a delicious Bavarian Beer Mustard that I found at a wine store. It is made in Woodstock, Virginia. 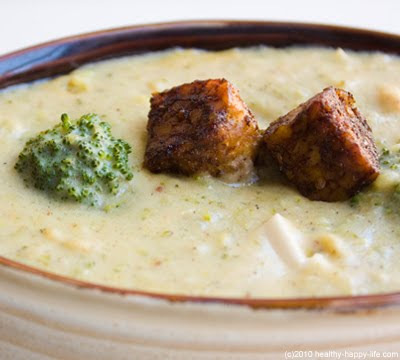 It is amazing on sandwiches and snacks, but it also adds a spicy kick of flavor to this broccoli soup. Mustard and Monterey Jack cheese are a great combo. Even better than a cheddar mustard combo in my opinion. If you can't find this exact mustard, I suggest something grainy, thin in consistency and medium spiced. A basic Dijon mustard will suffice. But do not try subbing a basic yellow mustard (you know the fluorescent yellow kind) that won't work. 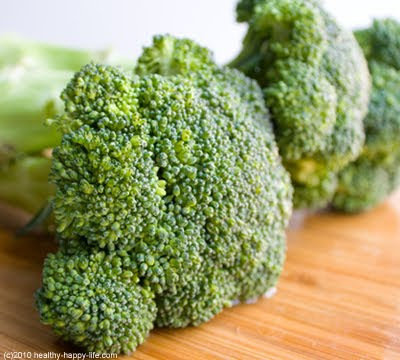 The Whole Broccoli and nothing but the broccoli. 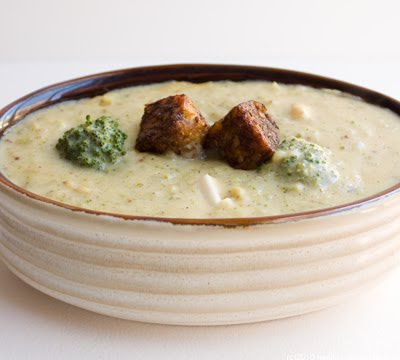 The fab thing about broccoli soup is that you can buy those big bunches with the thick hearty stems and use the entire broccoli (stems too). Sometimes the stems are a bit woody to eat on their own, but blended into soup they are perfection. Nothing wasted. *add more chipotle powder for an even deeper spiciness. 1. 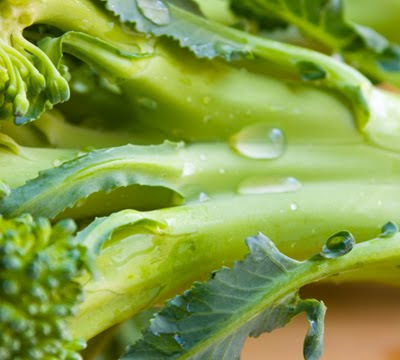 Wash and chop your broccoli. Remember to reserve 1 cup of florets for use later on in the recipe. Chop the stems into thin chunks for faster cooking. 3. Chop your onion and slice your cheese. 4. 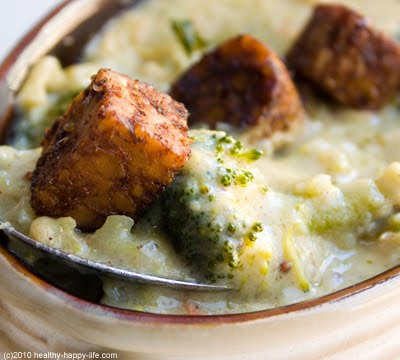 In a soup pot add your water and vegan bouillon cubes (or veggie broth), soy milk, soy creamer - and whisk in your flour. Also add in the maple syrup, cider vinegar, mustard, garlic powder and pepper. Turn on the heat to medium high to bring liquid to a boil. Also add in a splash of olive oil, if you'd like. 5. Add in, while stirring, your onion and chopped broccoli. 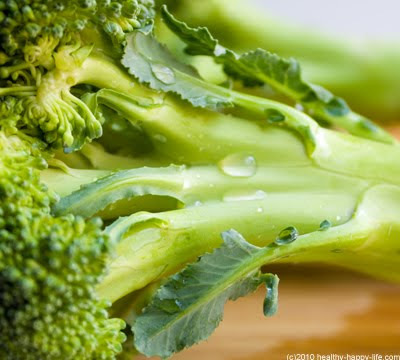 Continue stirring for about 3-5 minutes, or until all your broccoli is tender. 6. Turn heat off and prepare to lightly puree your soup. You can either puree using an immersion blender. Or puree in batches in your high speed blender. Whatever option you choose, make sure to use extreme caution when blending heated ingredients. 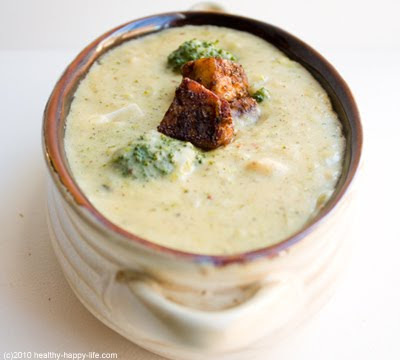 Allow the soup too cool a bit if you are using a high speed blender. Blend until lightly chunky. FYI, you should have about 6 cups of soup at this point. 7. 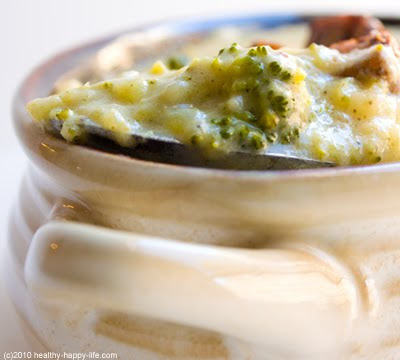 Transfer your pureed soup back into your soup pot. Turn heat back on. Bring to a mild boil and then add in your 5 ounces of cheese. Allow to blend and melt. 8. 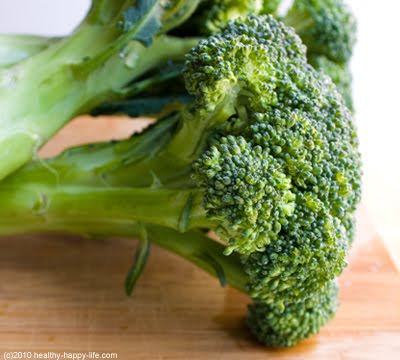 Then add in your reserved broccoli florets and allow to cook for 2 minutes. 9. Reduce heat and simmer until ready to serve. 10. 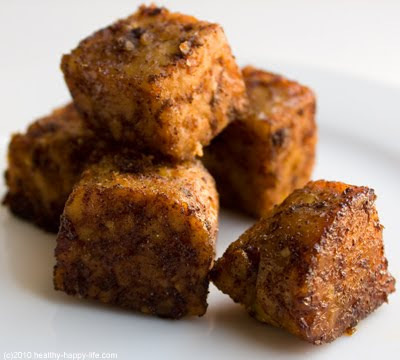 TEMPEH CROUTONS: Add the maple syrup, oil and apple cider vinegar to a saute pan, on high heat. 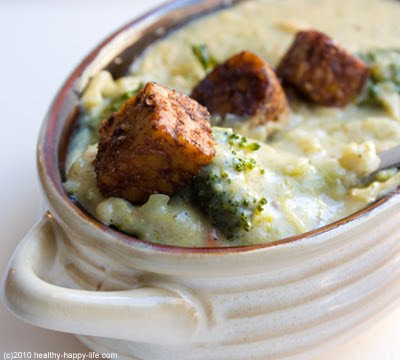 Add your tempeh cubes. Dash your chipotle pepper powder over you cubes and saute until they brown on all sides. As your pan gets dry, add in a few splashes of water and allow the steam to cook and hydrate the croutons a bit. Saute until they are tender, yet a bit crisp on the edges. Set aside and use as topping for soup. 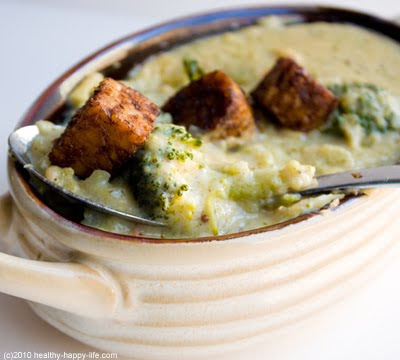 Serve soup in shallow bowls with a few tempeh cubes plopped on top. Yummy!